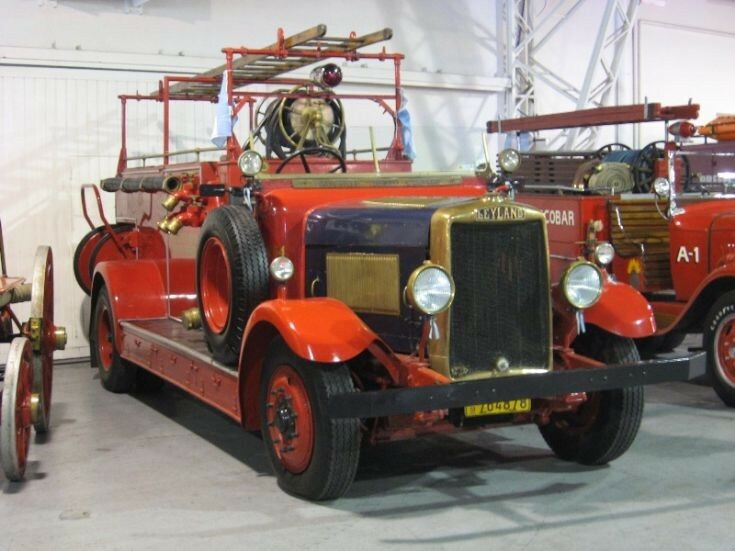 This Leyland entered service with the Buenos Aires Fire Department in 1936. It was in service until the middle of the 70s. Nowadays it is usually used for exhibitions, although it still works completely.Picture taken in Buenos Aires, October 13th, 2017. Interesting configuration, with the mid-mounted pump and one-man hose carts hung sideways on the back. Very British overhead ladder gantry, US influence regarding the pump location and European style hose carts. The observation that this Leyland was on the line for around forty years is quite impressive, but by no means unusual for a fire truck in Argentina! Added by Rob Johnson on 11 November 2017. Thank-you Eduardo for this very interesting picture. I have being doing some research into surviving Leyland fire appliances and so I will add this one to my records. Buenos Aires had a batch of five sent in December 1935 on FT2 chassis. It would be very useful if you could help by supplying the chassis number. Thanks again for posting this excellent picture. Added by Simon Rowley on 21 December 2017. Added by Rob Johnson on 21 December 2017. Thank you Rob for your comment. I have looked at this very interesting picture previously and I wondered if it had been restored to working order. That was ten years ago and nothing can be found about it on the Internet. Worthwhile making further inquiries. Added by Simon Rowley on 22 December 2017. Try "Bomberos Voluntarios Santiago" on Facebook. Good luck!